The LaGG-3 was designed by S. A. Lavochkin, V. P. Gorbunov & M. I. Gudkov and was a refined version of the LaGG-1 fitted with a more powerful Klimov M-105P, 1050hp engine. The LaGG-3 entered service in the early months of 1941 and was produced until mid-1942. Although it was an improved design, the LaGG-3 proved immensely unpopular. The novel, wood-laminate construction of the aircraft continued to be poor quality and pilots joked that rather than being an acronym of the designers names "LaGG" stood for "la kirovanny garantirovanny grob" ("guaranteed varnished coffin"). To improve the aircraft's overall performance, several modifications were made during production of the 6,258 units, resulting in no less than 66 variants! In combat, despite being generally rated as underpowered and not highly maneuverable, the LAGG-3 proved to be a durable fighter. The first fights of the LaGG-3 against the Bf 109E in June of 1941, demonstrated that it was a quite capable opponent, if somewhat over-weighted. It incorporated self-sealing fuel tanks and exhaust gas ducted into the fuel tanks as inert gas. During the early stages of German invasion Its resistance to combat damage was a large factor of its relative success. Experiments with fitting a large radial engine to the LaGG-3 airframe eventually solved most of the problems and led to the superb Lavochkin La-5... but that's another story. South Front's first kit comes in a slightly oversized cardboard box with a cover artwork printed on the top half, and color profils for 5 aircraft printed on the bottom half. I said "oversized" because the plastic bag containing the kit's parts is far from filling all the space of the box(picture 1). When opened, the bag reveals five sprues of white plastics parts, one sprue of clear parts and one smaller zip bag with alternative vinyl tyres (pictures 2). On first sight, I thought this was a kit produced by ICM! But it is not, as the origin of the moulding is obviously short run. One could think this is a bad thing, but I didn't found the parts to be worse than at ICM. Of course, they are less crisply moulded, have a lot more flash and therefore will need a lot more cleaning work. But I found no sink marks (common on ICM kits) or nasty ejector pin marks. The surface of the parts is acceptable but there are some imperfections that will have to be removed. At some places you can still see the scratches left by the files while doing the master. To sum up, this is a Man's kit (sorry ladies), designed in the good old ways with blood, sweat and tears! The surface detail of the kit is good but I found the strengthening ribs on the wings to be on the heavy side (picture 3). In fact I found all the relief details to be a little overdone! But it's probably better that way than the contrary as one can simply achieve the desired effect by sanding some thickness away in some places. The fuselage parts are quite nice, especially the upper cowling panel (picture 4). It is to note that there are not many panel lines on the model. This is due to the fact that the LaGG was an aircraft made mainly out of wood. The fact that South Front can also produce more "subtle" parts is shown in picture 5. The fabric effect on the rudder and the ailerons are almost not noticable. Here I wish they would have been more pronounced. I know, I'm never happy! The clear parts are acceptable but far from being perfect as all the windows are somewhat distorted. I know the quality of the canopies on real VVS aircraft wasn't much better, but if this was an attempt by South Front to reproduce this effect, here too it is overdone! Fortunately, the cockpit can be displayed open so the transparency issue won't be too noticable. A nice decal sheet printed by Begemot will allow you to model 7 different aircraft. Don't be fooled by the fact that they look like ICM decals, they seem to be definitely better! And this is a good thing as the decals that can be found in ICM kits are probably the worst of the entire model kit industry. I can't tell you exactely what marking options are possible (the instructions are only written in Russian), but the paintschemes go from two tone camouflaged planes to all white planes with some others wearing a mix of both. Accordingly, a lot of red stars and numbers are present on the decal sheet (picture 9). The instructions, as I said above, are only written in Russian. They are printed in black & white on two A3 sheets folded so to make an eight page booklet. The first presentation page has an individual kit number showing this is a limited run (my sample is number 0528). There is also a history of the plane (one page), a parts layout (one page), an assembly guide (two pages), a marking guide (two pages) and some pictures of real LaGG-3s (last page). The instruction drawings will be easy to follow, but you will need to find your own references for the colours if you aren't able to decypher Cyrillic characters. 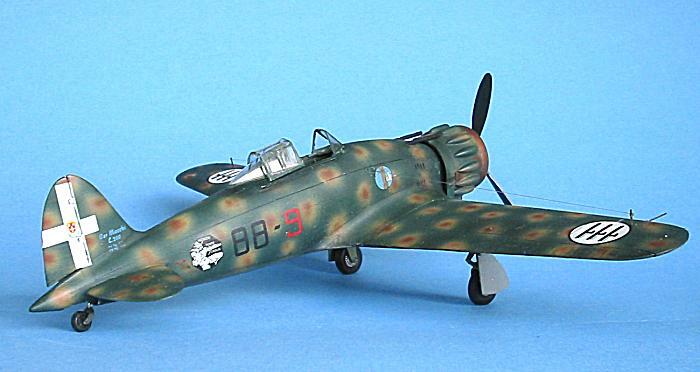 Firstly, it's the only LaGG-3 kit currently available in 1/48 scale. LTD did a late variant years ago but it is hard to find now and it's a dog of a kit. Secondly, the kit seems to have been well researched. Based on the references I have, the model looks quite accurate. The panel lines, various access hatches and doors, relief ribs and plates are all located in the right places and the typical early variant bulges over the engine cowlings are present on the model. The early rudder is also right with it's two (only one on 7th batch planes) mass balances. On the box, it is said it's a 4th batch variant. I think it's rather a 7th batch version as there is only one opening for an UBS machine gun on the cowling (see reference plan). On 4th batch variants it seems there were two. But at that time, modifications were made all the time, even within the same batches, and sometimes guns were simply removed by the ground crew. The debate is therefore open! Finally, a superb model can be made out of this kit! It will require more work than others, but nothing an experienced modeler isn't used to. This is a nice surprise! The kit isn't perfect but one should bear in mind it is reference number 48001. For a first I think it's encouraging and I really hope it will sell well so South Front will be able to produce more like these. The price is also very competitive and makes it a perfect candidate for aftermarket products such as resin cockpits and vacufom canopies. The kit can't be recommended to beginners who will be advised to look elsewhere if they want to add a Russian WW2 plane to their collection. 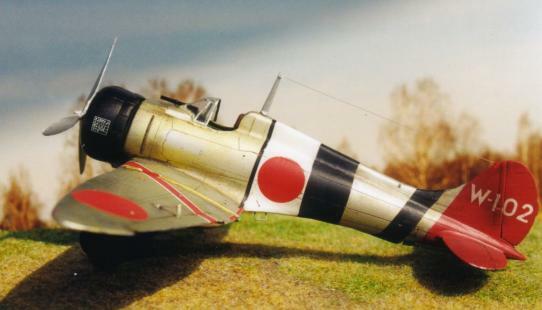 But it will please the experienced modeller wanting to broaden the range of it's VVS aircraft collection. South Front's first effort is highly recommended to the latter! As I saw a LaGG-3 kit referenced at a big model kit webstore, I first thought it was a new ICM kit. But I was surprised when I noticed it was the first kit of a new manufacturer called South Front. I was a little bit wary but as I saw the price I thought I would give it a try and purchased it. I'm very happy I did!